I grew up eating cornbread dressing during the holidays and I love it. I've been making this version for years and it's become a new favorite. It's a lot of chopping and it's a little more expensive because of the tamales, but it's worth the extra time and money. The recipe makes enough for 12 servings but I double it every year with good results. 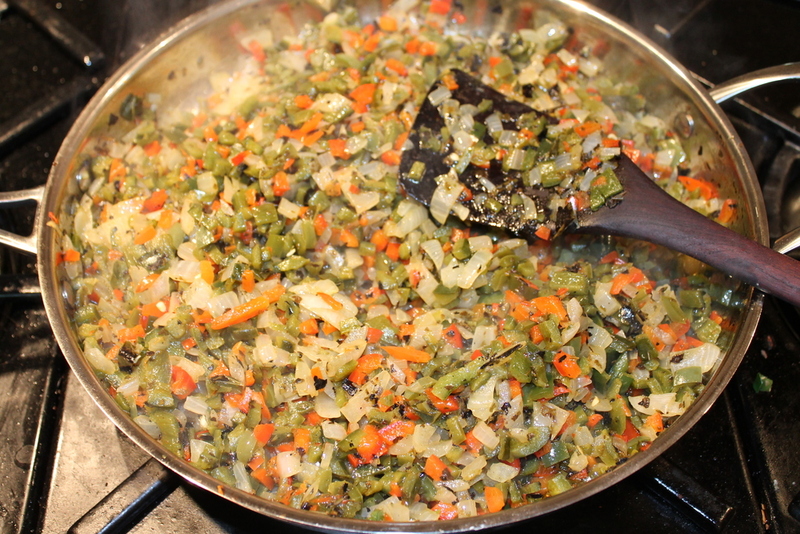 Melt the butter in a large skillet and saute the onion, poblanos, jalapenos, bell pepper, and oregano until vegetables are tender. 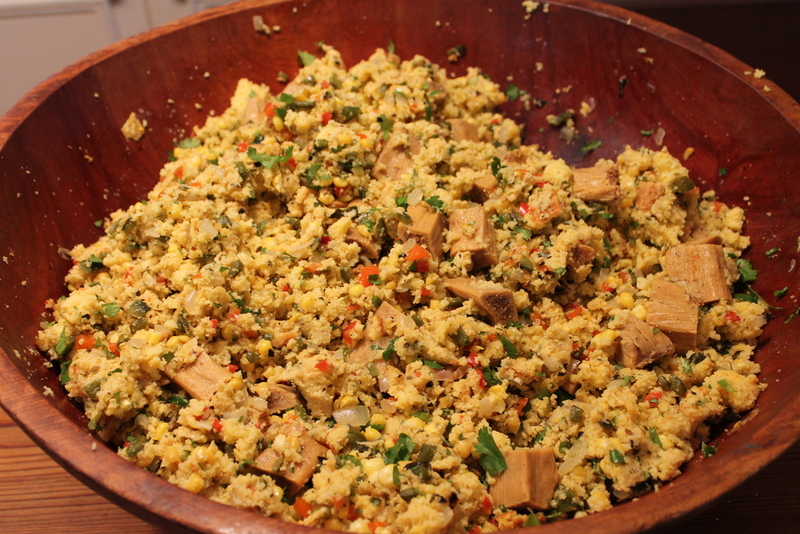 Crumble the corn bread into a large bowl and add the sauted vegetables. 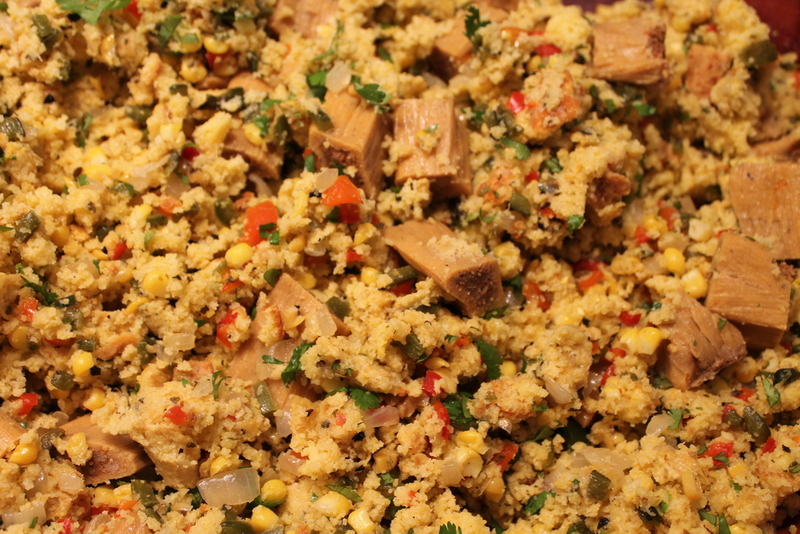 Then add the cilantro, corn chips, corn kernels, cream style corn, and chicken stock and mix well. Season with salt and pepper to taste. 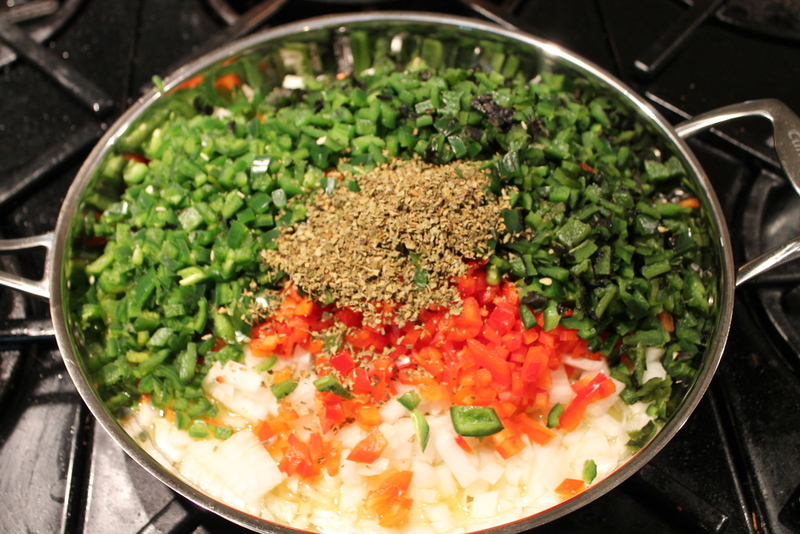 Now add the chopped tamales and gently mix them together without breaking them up too much. You want the tamales to be in bite size chunks, not little crumbles. Place in a greased 9 x 13 casserole. Cover with foil and bake at 350 for 45 minutes then remove the foil and bake another 15 minutes to brown the top. This can be made ahead and frozen. After you've cooked it, just cover it tightly and freeze. To serve, just thaw and reheat. Posted in In The Kitchen and tagged with tamale stuffing, cornbread. November 11, 2012 by Lynn Adams.